Phones, phablets and “mini” tablets fall under the former. Essentially, anything under 8-inches is primarily held with one hand. I believe the dominant size of this category will be 5- to 6-inch smartphones. The value of a Nexus 7 tablet is questionable when you already carry around a Galaxy Note 3 phone. We will see this occur too in the Apple ecosystem when the 5.5-inch iPhone 6 is launched. 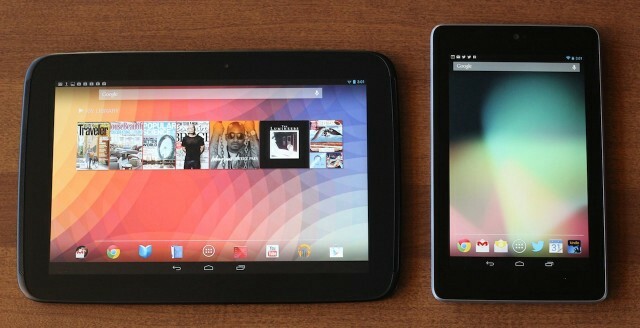 The iPad Air, Surface and Nexus 10 fall squarely in the latter category — devices that are meant mainly for two-handed use. I believe the biggest reasons why Apple, Microsoft and Google chose the 10- to 11-inch screen size is because of weight. With previous technology limits, bigger tablets would be too heavy; and therein lies the key to this category. Tablets meant to be held with two hands should have as large of a screen size as possible while weighing 2 pounds or less. With two hands, there is such a thing as “light enough.” Once that threshold is passed, the better trade-off is to maximize screen size. A 13-inch screen is far better for productivity and media consumption than a 10-inch screen. Multitasking with side-by-side running apps is a quantum leap better on a 13-inch screen. If manufacturers can find a way to keep weight down, a 2-pound 15-inch iPad Air will easily outsell a 1-pound 9.7-inch iPad Air. But a 3-pound Yoga Pro 2 is just too heavy as a tablet. Larger screen sizes at reduced weight is the next battleground for tablets and hybrid PCs. Apple is the first to recognize this with the iPad Air, and I hope they develop the other side of the equation and launch a 13-inch version of it. Microsoft will be wise to follow, or even beat Apple to it. Update (May 13, 2014): 9to5Mac is now reporting that Apple plans to add split-screen multitasking in iOS 8, a la Windows. Hmmm! That feature would sure work better on a 13-inch screen. Update (May 21, 2014): Boom! Microsoft announces a thin 12-inch Surface Pro 8 weighing 1.8 pounds. Its 3:2 screen ratio actually gives it more screen real estate than the traditional 13-inch Ultrabook. More here on the cornerplay.